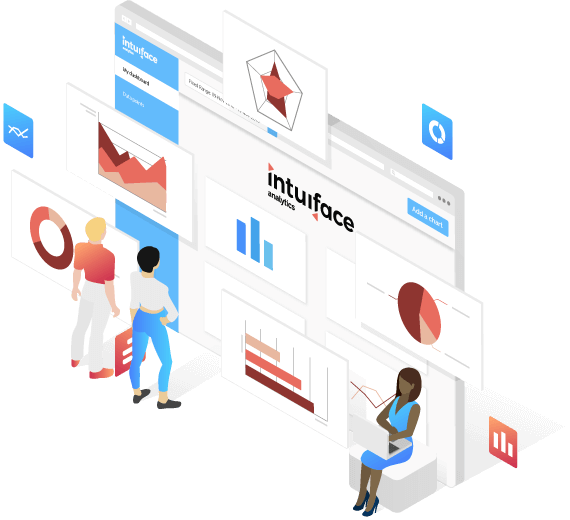 Intuiface Analytics: Turn your Intuiface experience into an essential KPI resource by defining, collecting, visualizing, and sharing the data that drive design, operational, and business insights. Intuiface-based interactivity reveals your target audience's preferences. Intuiface-based connectivity gives you access to rich contextual information like weather, gender, location or your organization's data. 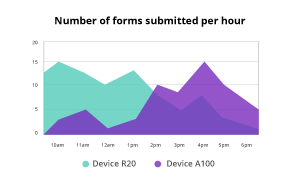 And now, with Intuiface Analytics, you can take that information and turn it into insight. Every interactive project has a business objective. To sell, to inspire, to educate, to collect.... How well does your project design drive the target audience towards fulfillment of that business objective? Is there anything you should change, improve, eliminate? Performance, reliability, scalability, cost... Sub-par quality for project infrastructure and hardware can undermine your target audience's willingness to participate and their perception of your company. Are quality issues getting in the way of project success? The business objective is being fulfilled. 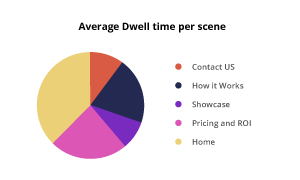 How is that fulfillment impacted by location, demographic, time of day, weather outside,..... With this insight, should you modify the ongoing marketing campaigns and messaging, installation content, or the overal campaign objectives? Identify the events you care about - either human or machine initiated - then specify the information you'd like to collect about those events. Do all this without writing code. Differentiate sessions and log every interaction of interest - scenes visited, items selected and much more. Grab ID info via forms, badge readers, cameras or any other connected device and merge with session information. If it's available at the device level, collect it: time, date, weather, city, store location, etc. Each of your licensed Players will independently collect the data you specified and upload it to a centralized, cloud-hosted Data Hub so you can start your analysis journey. Time of experience start/stop. Time of scene entry/exit. Name of device. Name of experience. And much more. Intuiface services are actively monitored to ensure information is immediately available. See our public status page to take a peek. When offline, data points are stored locally. They can be accessed directly or will automatically upload once back online. From collection to chart availability in less than 2 minutes. And with a 98% compression rate, 3G/4G data plan consumption is greatly reduced. Use of Amazon infrastructure ensures high scalability, reliability, and performance regardless of your geographic location. Already - Data Points Processed! 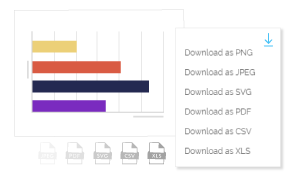 An amazingly simple drag-and-drop chart editor makes even complex charts easy to create for the novice while scaling to serve the needs of an expert. 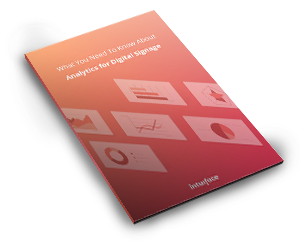 30+ chart types and 12+ templates give you enormous flexibility to tell a story, answer a question, guide decision making, and steer improvement. 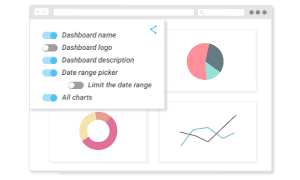 Combine related charts in a dashboard. 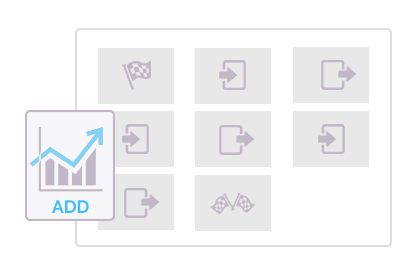 Create multiple dashboards to service multiple internal and/or external clients. Your dashboards tell a story. 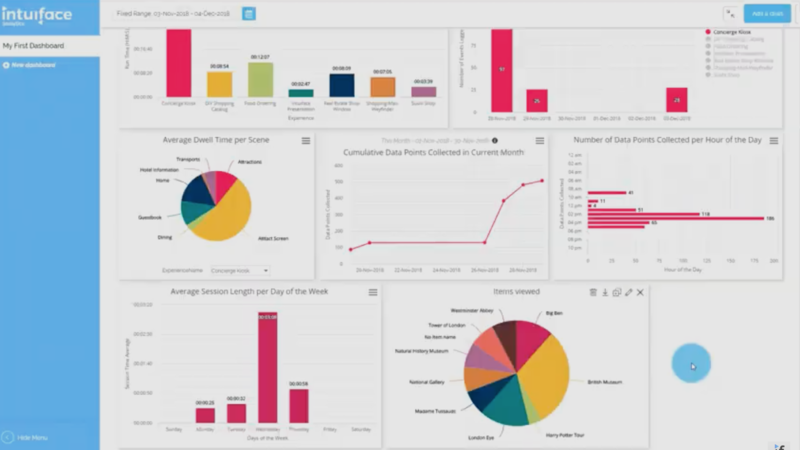 Create multiple versions of your dashboard - with a real-time Data Hub connection - to share that story. Or save charts as simple flat files or raw data for local use. Each dashboard can be shared via one or more URLs and embeddable iframes. Configure these shares to control information sharing levels. 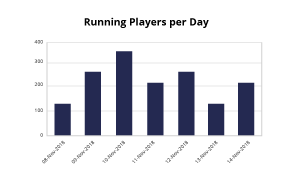 Individual charts can be exported as raw data (CSV or XLS) or as raster and vector images for embedding in other presentation mediums. Watch and listen to this step-by-step demo delivered by our experts. Intuiface experiences can capture every touch event, user detail and environmental context (like city, time, weather) across deployments of any size. 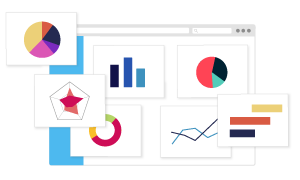 Collected data is forwarded to a hyper-scalable Amazon-hosted database.From there you can build your own charts using Intuiface Charts & Dashboards, or forward your data to third-party tools like Excel and Google Analytics. Additional export support exists for Segment or for data retrieval via REST API. No messy tracking codes are used and no coding ever occurs. Intuiface Analytics works right out of the box and requires no prior training. Watch a four minute demonstration of Intuiface Analytics in action. Whatever you're selling - from movie tickets to real estate to an endless aisle of goods - you need to understand the buyer. 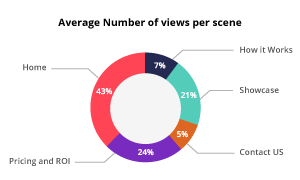 How do their tastes vary by store location, in-store location, time of day, time of year, whether they're a loyalty program participant and who knows what else. With Intuiface, you can get these answers and so much more. You've got Sales Reps and/or self-service kiosks in multiple locations. How can you tell what is and isn't working? How often your company's story is being told? Which parts of the pitch are most effective, which parts are rarely covered? With IntuiFace, you can get to the bottom of these questions and learn so much more. You've directed a significant amount of your company's resources to this event, measured in time, money, people. How are you going to measure the effectiveness of your presence? With IntuiFace and interactive content you can not only scale your ability to reach visitors, you can even read the minds of those visitors to see what they respond to best. Your museum, library or similar venue has to be smart about spending while creating the most engaging, informative exhibits possible. With IntuiFace and interactive content you not only have cutting edge technology in your grasp but you can use it to identify what your visitors respond to, ensuring the best possible improvements to your displays. Self-service kiosks can be anywhere - restaurants, QSRs, the Concierge desk, etc. - and each can offer deep insights about your guests. Learn everything from dining and entertainment favorites to most effective ads and even layouts.